The lovely home of Barbara Copanos was filled with the nearly 50 attendees at this year’s annual Fall Membership Luncheon. President Barbara Parent introduced Bob Heuer, General Director and CEO of Florida Grand Opera. He spoke briefly covering the highlights of the coming season and told us that, in spite of the economy, subscription renewals had come in at 80%, a better result than in prior years. He expressed his thanks to the Opera Society for the support provided to FGO. Barbara Parent presented roses to the two new members who attended: Loretta Lodin Chatoff and Jacqueline Niehaus. A wonderful buffet lunch was served. The 2009 – 2010 Membership Directory was distributed to the attendees. 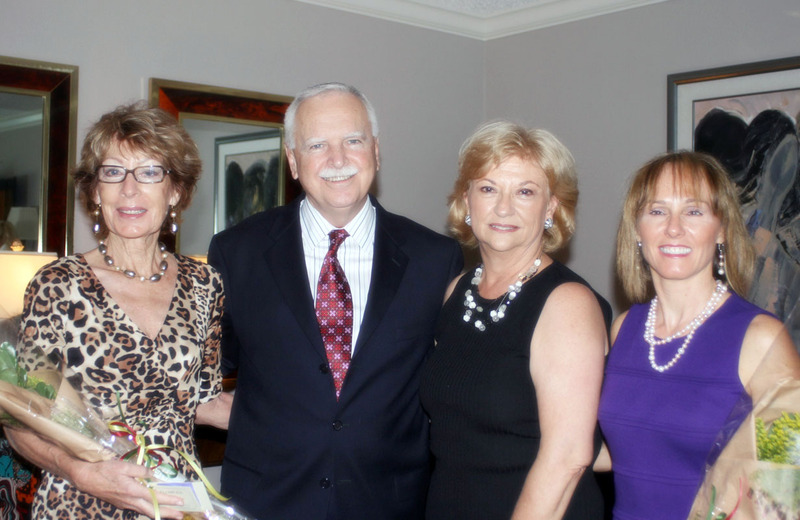 Special thanks were given to Barbara Copanos for her generosity in hosting the luncheon. Pat Rowe, Guess Who’s Coming to Dinner Co-chair with Betty Koontz, had sign up sheets available for the various luncheons and dinners which will take place throughout the season. Booklets will be distributed next month. Barbara closed the brief business meeting after the members voted for Margery Ferraro and Billie Price, from the general membership, to serve on the nominating committee along with Carol Frei, Chair. Two Board members will be elected to the nominating committee. Our next event is a Lyrical Luncheon on November 5, 2009 at the Coral Ridge Country Club with Justin Moss who will speak on Suor Angelica and Pagliacci.